Some of Britain’s favorite celebrities auction have personally designed candle holders to raise awareness of the race for a cure for Parkinson’s. 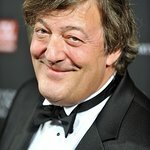 Stephen Fry, Ricky Gervais, Alesha Dixon, Kevin McCloud and a host of other celebrities have pledged their support for finding a cure for Parkinson’s by designing their own candle holders which are being auctioned off in support of The Cure Parkinson’s Trust’s ILLUMINATE campaign. The 34 specially designed candle holders will be auctioned on eBay for 10 days starting 7pm on 22nd FEBRUARY 2011. You are invited to bid for your favourite celebrity’s candle holder on eBay all in the name of an exceptionally worthy cause. The entire collection of designs is also available in a lovely book. In the UK alone, one in every 500 people has Parkinson’s and one in 20 of those is under the age of 40. ILLUMINATE aims to not only raise funds towards a cure for the degenerative neurological condition, but also to educate and inform young people about its effect. This latest effort is being supported by a long list of top personalities – including Robbie Coltraine, Sophie Dahl, Tony Robinson, Michael Caine, James Blunt, Geri Halliwell, Rolf Harris, Katherine Jenkins, David Walliams, Matt Lucas and many more – who have each designed and signed their own candle holder to throw light on the race for a cure. These top quality, bone china candle holders, are made in Stoke on Trent and filled with 100 hour white wax. They are approximately 75mm in diameter and 92mm tall and come in a specially made presentation box. The design has been kiln-fired onto the candle holder, during the manufacturing process, to make it permanent. Remember – the items for auction here are truly unique – only one of each design exists. Additionally, the charity is auctioning 10 hand signed photographs sent by celebrities in response to the appeal for support. Included with every item is a Certificate of Authenticity signed by The Cure Parkinson’s Trust’s Managing Director. To view the candle holders and make a bid, click here.